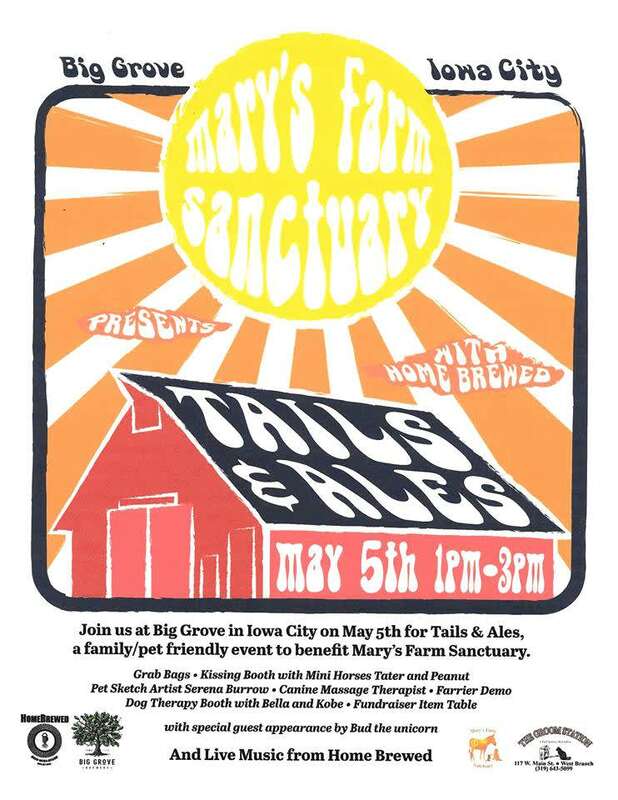 Join us at Big Grove in Iowa City on May 5th from 1-3pm for Tails & Ales, a family/pet friendly event to benefit Mary's Farm Sanctuary. Live music from Home Brewed, grab bags, kissing booth with mini horses Tater and Peanut, pet sketch artist Serena Burrows, canine massage therapist from The Groom Station, dog therapy booth with Bella and Kobe, fundraiser item table, farrier demo, with special guest appearance by Bud the unicorn! 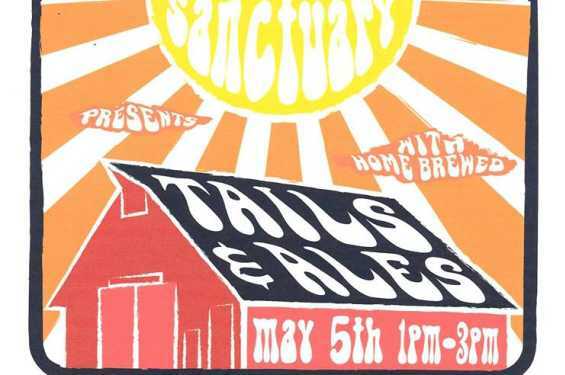 We hope you come out and support our cause and learn more about the animals we care for at Mary's Farm Sanctuary. A special thank you for Brandon Vacco for designing our event poster.